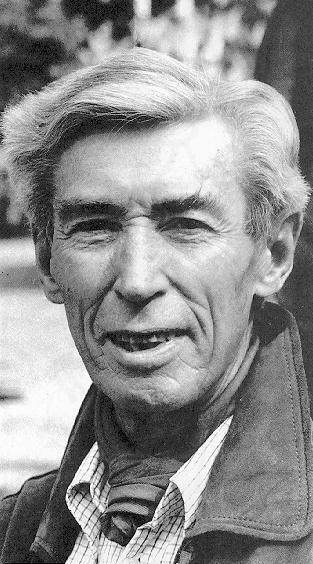 Georges Prosper Remi (22 May 1907 – 3 March 1983), better known by the pen name Hergé, was a Belgian comics writer and artist. His best known and most substantial work is the 23 completed comic books in The Adventures of Tintin series, which he wrote and illustrated from 1929 until his death in 1983, although he was also responsible for other well known comic book series such as Quick & Flupke (1930–1940) and Jo, Zette and Jocko (1936–1957). Born into a middle-class family in Etterbeek, Brussels, he took a keen interest in Scouting in early life, something that would prove highly influential on his later work. Initially producing illustrations for Belgian Scouting magazines, in 1927 he began working for the conservative wing newspaper Le XXe Siècle, where he adopted the pen name "Hergé" , based upon the French pronunciation of "RG", his initials reversed. It was here, in 1929, that he began serialising the first of the Adventures of Tintin, Tintin in the Land of the Soviets. The notable qualities of the Tintin stories include their vivid humanism, a realistic feel produced by meticulous and wide ranging research, and Hergé's ligne claire drawing style. Adult readers enjoy the many satirical references to the history and politics of the 20th century. The Blue Lotus, for example, was inspired by the Mukden incident that led to the Chinese-Japanese War of 1934. King Ottokar's Sceptre could be read against the background of Hitler's Anschluss or in the context of the struggle between the Romanian Iron Guard and the King of Romania, Carol II; whilst later albums such as The Calculus Affair depict the Cold War. Hergé has become one of the most famous Belgians worldwide and Tintin is still an international success. Hergé is a prominent national hero in his native country, to the extent where he has been described as the actual "personification of Belgium". The long-awaited Hergé Museum was opened in Louvain-La-Neuve on 2 June 2009. Designed by Pritzker Prize-winning architect Christian de Portzamparc, the museum reflects Hergé's huge corpus of work which has, until now, been sitting in studios and bank vaults. His work remains a strong influence on comics, particularly in Europe. He was inducted into the Comic Book Hall of Fame in 2003. Georges Prosper Remi was born on 22 May 1907 in Etterbeek, Brussels, a central area in the capital city of Belgium, to middle class parents; his father, the Wallonian Alexis Remi, worked in a candy factory, whilst his mother, the Flemish Elisabeth Dufour, was a homemaker. His primary language was his father's French, but growing up in the bilingual Brussels, he also learned how to speak Flemish, developing a Marollien accent from his maternal grandmother. Like the majority of Belgians at that time, his family belonged to the Roman Catholic Church, though they were not particularly devout. He would later characterise his life in Etterbeek as being dominated by a monochrome gray, and would always remember it as having been extremely boring. Trying to escape this boredom, the young Remi immersed himself in literature, in particular enjoying the novels of British and American authors, such as Huckleberry Finn, Treasure Island, Robinson Crusoe and The Pickwick Papers. Despite this preference for Anglophone works, he also read a number of French novels, such as General Dourakine, Twenty Years After and The Vicomte of Bragelonne: Ten Years Later. He took to drawing as a hobby, sketching out stories and scenes from his daily life along the edges of his school books. Some of these illustrations were of German soldiers, because his four years of primary schooling coincided with World War I (1914–1918), during which Brussels was occupied by the German Empire. It was in these early years that Remi also developed a love of cinema, particularly favouring Windsor McCay's pioneering animated film Gertie the Dinosaur and the films featuring Charlie Chaplin, Harry Langdon and Buster Keaton; his later work in the comic strip medium would display an obvious influence from these early films in style and content. In 1920 his secondary education began at Saint-Boniface School, an institution controlled by the archbishop where the teachers were Roman Catholic priests. Georges joined the Boy Scouts troop of the school, where he was given the totemic name "Renard curieux" . In 2007, an old "strip" by Hergé was found on a wall of the school. His first drawings were published in 1922 in Jamais assez, the school's Scout paper, and in Le Boy-Scout Belge, the Scout monthly magazine. From 1924, he signed his illustrations using the pseudonym "Hergé". His subsequent comicbook work would be heavily influenced by the ethics of the Scouting movement, as well as his early travel experiences with the scouting association. On finishing school in 1925, Georges worked at the Catholic newspaper Le XXe Siècle under editor and Catholic abbot, Norbert Wallez. The following year, he published his first cartoon series, Totor, in the Scouting magazine Le Boy-Scout Belge. In 1928, he was put in charge of producing material for the new children's weekly supplement, Le XXe Siècle's , Le Petit Vingtième. He began illustrating The Adventures of Flup, Nénesse, Poussette, and Cochonnet, a strip written by a member of the newspaper's sports staff, but soon became dissatisfied with this series. Wallez asked Remi to create a young hero, a Catholic reporter who would fight for good all over the world. He decided to create a comic strip of his own, which would adopt the recent American innovation of using speech balloons to depict the characters' spoken words and inspired by established French comics author Alain St. Ogan. Tintin in the Land of the Soviets, by "Hergé", appeared in the pages of Le Petit Vingtième on 10 January 1929, and ran until 8 May 1930. The strip chronicled the adventures of a young reporter named Tintin and his pet fox terrier Snowy as they journeyed through the Soviet Union. The character of Tintin was partly inspired by Georges' brother Paul Remi, an officer in the Belgian army. In January 1930 Hergé introduced Quick & Flupke , a new comic strip about two street urchins from Brussels, in the pages of Le Petit Vingtième. For many years, Hergé continued to produce this less well-known series in parallel with his Tintin stories. In June he began the second Tintin adventure, Tintin in the Congo , followed by Tintin in America and Cigars of the Pharaoh. On 20 July 1932 he married Germaine Kieckens, the secretary of the director of the Le XXe Siècle, whom he had first met in 1927. They had no children, and eventually divorced in 1977. The early Tintin adventures each took about a year to complete, upon which they were released in book form by Le Petit Vingtième and, from 1934, by the Casterman publishing house. Hergé continued to revise these stories in subsequent editions, including a later conversion to colour. Hergé reached a watershed with The Blue Lotus, the fifth Tintin adventure. At the close of the previous story, Cigars of the Pharaoh, he had mentioned that Tintin's next adventure would bring him to China. Father Gosset, the chaplain to the Chinese students at the Catholic University of Leuven, wrote to Hergé urging him to be sensitive about what he wrote about China. Hergé agreed, and in the spring of 1934 Gosset introduced him to Chang Chong-jen , a young sculpture student at the Brussels Académie Royale des Beaux-Arts. The two young artists quickly became close friends, and Chang introduced Hergé to Chinese culture and the techniques of Chinese art. As a result of this experience, Hergé strove in The Blue Lotus, and in subsequent Tintin adventures, to be meticulously accurate in depicting the places which Tintin visited. As a token of appreciation he added a fictional "Chang Chong-Chen" to The Blue Lotus, a young Chinese boy who meets and befriends Tintin. At the end of his studies in Brussels, Chang returned home to China, and Hergé lost contact with him during the invasion of China by Japan and the subsequent civil war. More than four decades passed before the two friends would meet again. In the Second World War, Hergé was mobilized as a reserve lieutenant, and had to interrupt Tintin's adventures in the middle of Land of Black Gold. Prior to the invasion of neutral Belgium by German forces, Hergé published humoristic drawings in L'Ouest, a paper run by future collaborator Raymond de Becker and which strongly advocated that Belgium not join the war alongside its World War One allies France and Britain. By the summer of 1940 Belgium had fallen to Germany along with most of Western Continental Europe. Le Petit Vingtième, in which Tintin's adventures had until then been published, was shut down by the Nazi occupiers. However, Hergé accepted an offer to produce a new Tintin strip in Le Soir, Brussels' leading French daily, which had been appropriated as the mouthpiece of the occupation forces. He left Land of the Black Gold unfinished, launching instead into The Crab with the Golden Claws, the first of six Tintin stories which he produced during the war. As the war progressed, two factors arose that led to a revolution in Hergé's style. Firstly, paper shortages forced Tintin to be published in a daily three- or four-frame strip, rather than the two full pages every week which had been the practice on Le Petit Vingtième. In order to create tension at the end of each strip rather than the end of each page, Hergé had to introduce more frequent gags and faster-paced action. Secondly, Hergé had to move the focus of Tintin's adventures away from current affairs, in order to avoid controversy. He turned to stories with an escapist flavour: an expedition to a meteorite , an intriguing mystery and treasure hunt (The Secret of the Unicorn and Red Rackham's Treasure), and a quest to undo an ancient Inca curse . In these stories Hergé placed more emphasis on characters than plot, and indeed Tintin's most memorable companions, Captain Haddock and Cuthbert Calculus , were introduced at this time. Haddock debuted in The Crab with the Golden Claws and Calculus in Red Rackham's Treasure. The Shooting Star was nonetheless controversial. The story line involved a race between two ship crews trying to reach a meteorite which had landed in the Arctic. Hergé chose a subject that was as fantastic as possible rather than issues related to the crisis of the times to avoid trouble with the censors. Nonetheless politics intruded. The crew Tintin joined was composed of Europeans from Axis or neutral countries ("Europe") while their underhanded rivals were Americans , financed by a person with a Jewish name and what Nazi propagandists called "Jewish features." Tintin also flies in a German Arado Ar 196 plane. In a scene which appeared when the story was being serialised in Le Soir, two Jews, depicted in classic anti-Semitic caricature, are shown watching Philippulus harassing Tintin. One actually looks forward to the end of the world, arguing that it would mean that he would not be obliged to settle with his creditors . In 1943 Hergé met Edgar P. Jacobs, another comics artist, whom he hired to help revise the early Tintin albums. Jacobs' most significant contribution would be his redrawing of the costumes and backgrounds in the revised edition of King Ottokar's Sceptre which gave it a Balkan feel—in the original, the castle guards had been dressed as British Beefeaters. Jacob also began collaborating with Hergé on a new Tintin adventure, The Seven Crystal Balls . During and after the German occupation Hergé was accused of being a collaborator because of the Nazi control of the paper ("Le Soir"), and he was briefly taken in for interrogation after the war. He claimed that he was simply doing a job under the occupation, like a plumber or carpenter. After the war Hergé admitted that: "I recognize that I myself believed that the future of the West could depend on the New Order. For many, democracy had proved a disappointment, and the New Order brought new hope. In light of everything which has happened, it is of course a huge error to have believed for an instant in the New Order." The Tintin character was never depicted as adhering to these beliefs. However, it has been argued that anti-Semitic themes continued, especially in the depiction of Tintin's enemy Rastapopoulos in the post-war Flight 714, though other writers argue against this, pointing out the way that Rastapopoulos surrounds himself with explicitly German-looking characters: Kurt, the submarine (or u-boat) commander of The Red Sea Sharks; Doctor Krollspell, whom Hergé himself referred to as a former concentration camp official, and Hans Boehm, the sinister-looking navigator and co-pilot, both from Flight 714. The occupation of Brussels ended on 3 September 1944. Tintin's adventures were interrupted toward the end of The Seven Crystal Balls when the Allied authorities shut down Le Soir. During the chaotic post-occupation period, Hergé was arrested four times by different groups. He was publicly accused of being a Nazi/Rexist sympathizer, a claim which was largely unfounded, as the Tintin adventures published during the war were scrupulously free of politics . In fact, one or two stories published before the war had been critical of fascism; most prominently, King Ottokar's Sceptre showed Tintin working to defeat a coup attempt that could be seen as an allegory of the Anschluss, Nazi Germany's takeover of Austria. Nevertheless, like other former employees of the Nazi-controlled press, Hergé found himself barred from newspaper work. He spent the next two years working with Jacobs, as well as a new assistant, Alice Devos, adapting many of the early Tintin adventures into colour. Tintin's exile ended on 26 September 1946. The publisher and wartime resistance fighter Raymond Leblanc provided the financial support and anti-Nazi credentials to launch the comics magazine titled Tintin with Hergé. The weekly publication featured two pages of Tintin's adventures, beginning with the remainder of The Seven Crystal Balls, as well as other comic strips and assorted articles. It became highly successful, with circulation surpassing 100,000 every week. Tintin had always been credited as simply "by Hergé", without mention of Edgar Pierre Jacobs and Hergé's other assistants. As Jacobs' contribution to the production of the strip increased, he asked for a joint credit in 1944, which Hergé refused. They continued to collaborate intensely until 1946, when Jacobs went on to produce his own comics for Tintin magazine, including the widely-acclaimed Blake and Mortimer. The increased demands which Tintin magazine placed on Hergé began to take their toll. In 1947 Prisoners of the Sun was interrupted for two months when an exhausted Hergé took a long vacation. Hergé, disillusioned by his treatment and that of many of his colleagues and friends after the war, planned to migrate with his wife Germaine to Argentina, but later abandoned the plan when he began a love affair. In 1949, while working on the new version of Land of Black Gold , Hergé suffered a nervous breakdown and was forced to take an abrupt four month-long break. He suffered another breakdown in early 1950, while working on Destination Moon. In order to lighten Hergé's workload Hergé Studios was set up on 6 April 1950. The studio employed several assistants to aid Hergé in the production of The Adventures of Tintin. Foremost among these was artist Bob de Moor, who collaborated with Hergé on the remaining Tintin adventures, filling in details and backgrounds such as the spectacular lunar landscapes in Explorers on the Moon. With the aid of the studio, Hergé managed to produce The Calculus Affair from 1954 until 1956, followed by The Red Sea Sharks in 1956 to 1957. By the end of this period his personal life was again in crisis. His marriage with Germaine was breaking apart after twenty-five years; he had fallen in love with Fanny Vlamynck, a young artist who had recently joined the Hergé Studios. Furthermore, he was plagued by recurring nightmares filled with whiteness. He consulted a Swiss psychoanalyst, who advised him to give up working on Tintin. Instead, he finished Tintin in Tibet, started the year before. Published in Tintin magazine from September 1958 to November 1959, Tintin in Tibet sent Tintin to the Himalayas in search of Chang Chong-Chen, the Chinese boy he had befriended in The Blue Lotus. The adventure allowed Hergé to confront his nightmares by filling the book with austere alpine landscapes, giving the adventure a powerfully spacious setting. The normally rich cast of characters was pared to a minimum—Tintin, Captain Haddock, and the sherpa Tharkey—as the story focused on Tintin's dogged search for Chang. Hergé came to regard this highly personal and emotionally riveting Tintin adventure as his favourite. The completion of the story seemed also to signal an end to his problems: he was no longer troubled by nightmares, divorced Germaine in 1977 , and finally married Fanny Vlamynck on 20 May of the same year. The last three complete Tintin adventures were produced at a much-reduced pace: The Castafiore Emerald in 1961, Flight 714 to Sydney in 1966, and Tintin and the Picaros in 1975. However, by this time Tintin had begun to move into other media. From the start of Tintin magazine, Raymond Leblanc had used Tintin for merchandising and advertisements. In 1961 the second Tintin film was made: Tintin and the Golden Fleece, starring Jean-Pierre Talbot as Tintin (an earlier stop motion-animated film was made in 1947 called The Crab with the Golden Claws, but it was screened publicly only once). Several traditionally-animated Tintin films have also been made, beginning with The Calculus Case in 1961. The financial success of Tintin allowed Hergé to devote more of his time to travel. He travelled widely across Europe, and in 1971 visited America for the first time, meeting some of the Native Americans whose culture had long been a source of fascination for him. In 1973 he visited Taiwan, accepting an invitation offered three decades before by the Kuomintang government, in appreciation of The Blue Lotus. In a remarkable instance of life mirroring art, Hergé managed to resume contact with his old friend Chang Chong-jen, years after Tintin rescued the fictional Chang Chong-Chen in the closing pages of Tintin in Tibet. Chang had been reduced to a street sweeper by the Cultural Revolution, before becoming the head of the Fine Arts Academy in Shanghai during the 1970s. He returned to Europe for a reunion with Hergé in 1981, and settled in Paris in 1985, where he died in 1998. Hergé died on 3 March 1983, aged 75. He had been severely ill for several years, but the nature of his disease was unclear, possibly leukemia or a form of porphyria. His death was hastened by an HIV infection that he had become the victim of during his weekly blood transfusions. He left the twenty-fourth Tintin adventure, Tintin and Alph-Art, unfinished. Following his expressed desire not to have Tintin handled by another artist, it was published posthumously as a set of sketches and notes in 1986. In 1987 Fanny closed the Hergé Studios, replacing it with the Hergé Foundation. In 1988 the Tintin magazine was discontinued. A cartoon version of Hergé makes a number of cameo appearances in Ellipse-Nelvana's The Adventures of Tintin TV cartoon series. An animated version of Hergé also makes a cameo appearance at the start of the 2011 performance capture film, The Adventures of Tintin , where he is depicted as an artist in a marketplace in Brussels, and draws a cartoon of Tintin himself, while constantly reminding him that "his face looked familiar". Hergé gave all rights to the creation of dolls and merchandise after his death to Michel Aroutcheff. Michel was Hergé's neighbour and a good friend. Aroutcheff then sold on these rights only keeping the right to make Tintin's red rocket when he goes to the moon. Hergé had a strong affinity with painting. Among the old masters, he loved Bosch, Breugel, Holbein and Ingres, whose drawings with pure lines he admired. He was also very interested in contemporary artists, such as Lichtenstein, Warhol and Miro. About Miro, he confided to his art adviser and friend Pierre Sterckx that he felt a shock the first time he saw one of his paintings. Hergé began to acquire artworks in the fifties, mainly paintings by Flemish expressionists. In the early sixties, he attended the Gallerie Carrefour of Marcel Stal and, through his contacts with artists, critics and collectors, he began to buy works from Fontana, Poliakoff and many others. In 1962, Hergé decided he wanted to paint. He chose Louis Van Lint, one of the most respected Belgian abstract painters at the time, whose work he liked a lot, to be his private teacher. For a year, Hergé learned under Van Lint's guidance, and 37 paintings emerged, influenced by Van Lint, Miro, Poliakoff, Devan or Klee. Hergé, however, eventually gave up painting, thinking that he could not fully express himself through this art form. His paintings from this period are nonetheless valued by collectors not only because they are by Hergé but also for their intrinsic qualities. Whole or part of the information contained in this card come from the Wikipedia article "Hergé", licensed under CC-BY-SA full list of contributors here.